If you live in a hurricane zone and a storm is approaching, you’re probably trying to decide whether to evacuate or not — and you might be torn as to whether you should stay in a hurricane shelter or not. 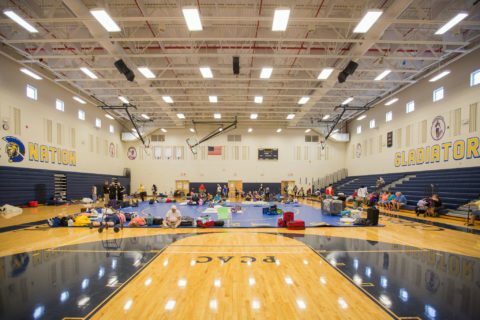 I decided to stay in a hurricane shelter for the first time ever, and I have some tips to share. My home was threatened by Hurricane Irma — a storm that was forecast to barrel through my west central Florida city with Category 4 winds (130 to 156 mph). So, my decision to stay in an emergency shelter during this storm was, in my mind, an absolute no brainer. Following is a summary of what I’ve learned firsthand after my experience with hurricane evacuation and staying in an emergency shelter. Whether you should evacuate from your town or stay at home during a hurricane. Whether you should stay in a hurricane shelter or not — and if yes, how you can best be prepared. Find the elevation level of any address. My home was built before modern hurricane codes were widely enforced after Hurricane Andrew struck Florida in 1992 — an historic storm that inspired new construction mandates requiring stronger home building techniques. My city was forecast to be hit by Category 4 hurricane winds of up to 140 mph — something you don’t fool around with. My girlfriend works in a retirement community that also serves as an emergency shelter for other local convalescent homes — and I was permitted to stay with her while she worked as a First Responder there. I know that meteorologists and other weather forecasters say this during hurricane season: “Run from the water. Hide from the wind.” And it’s true that flooding causes more deaths than wind in hurricanes. But why stay somewhere that is projected to suffer from serious hurricane wind damage? Even if my love didn’t work in a designated hurricane shelter, we would have evacuated anyway. (Her home was also built before modern hurricane wind codes were widely adopted, and the type of hurricane wind damage that was projected for our city would have caused catastrophic destruction.) There was no way we were sticking around to gamble on whether or not our homes were going to survive the wrath of this hurricane! 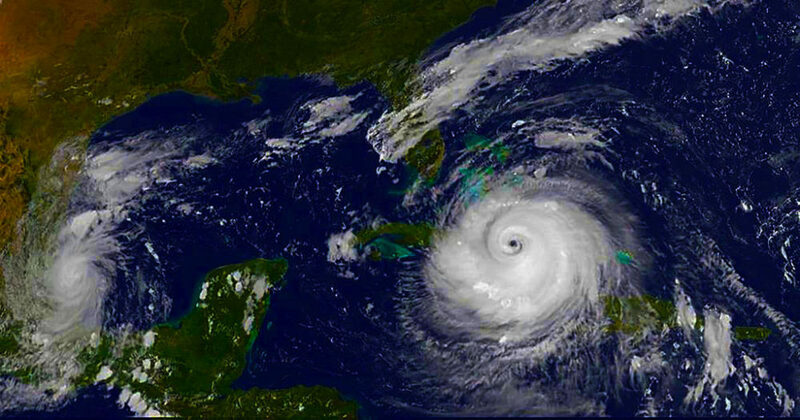 Must read: How Long Could You Survive After A Hurricane? Thankfully for us, the hurricane made an earlier-than-projected landfall far south of us, and it weakened significantly before hitting our town in Central Florida. By the way, here are some good things to do after a hurricane has blown through your town. We’ve already decided that we will evacuate again if our city is ever threatened by another major hurricane — whether or not we live by the water. Here are 10 hurricane myths debunked. Should You Stay In A Hurricane Shelter, Evacuate, Or Stay Home? When there is a hurricane warning, there are a few things you should do… right away. Deciding whether or not you should stay in a hurricane shelter, evacuate from your town, or stay home during a hurricane largely depends on your personal circumstances. Of course, if you’re living in a mandatory hurricane evacuation zone and you’re ordered to leave, by all means do so! Mandatory evacuation orders aren’t declared willy nilly. They’re designed to save lives. In my case, my girlfriend was working at a local emergency shelter, and I was invited to stay there — so why not? Especially given the intensity of Hurricane Irma, which was already an historic storm that had killed dozens of people and caused billions of dollars in property damage. Some will argue that if you don’t live in a hurricane evacuation zone and reside in a concrete block home, you should probably stay in your house. Electricity, water, sewage services, Internet, and other utilities were out for several days after Hurricane Irma — even in non-evacuation zones. Hurricane shelters have most of the basic necessities you’ll need. Many people depend on medical devices to help keep them alive — would you want to stay in an area where hurricane winds could damage the electric grid and affect your livelihood? What if your backup generator fails? Of course, all of these points I made above are clear arguments for evacuating from a storm and/or staying in a hurricane shelter. Your home is not in any evacuation zone, and your house is a concrete block structure. You have boarded up your home or you’re using storm shutters that are rated for a Category 5 hurricane. You or your loved ones don’t have any special medical needs and don’t need electricity or other utilities for physical survival. You have plenty of food, water, batteries, and other supplies on hand to last you several days after the hurricane has made landfall in your area. Your home has a backup generator and can provide plenty of power for basic needs (cooling/heating, cooking, and minimal lighting) for the duration of any utility outages. 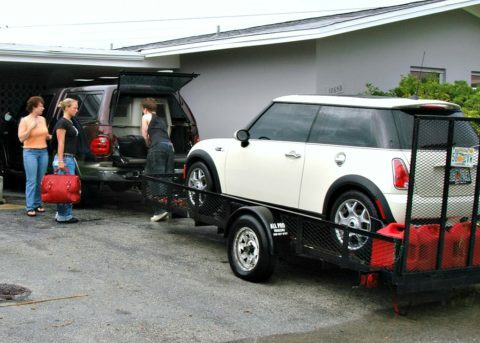 Your vehicles have enough fuel for you to leave home and get to your destination if it is necessary and safe to do so. What If You Live In A Mobile Home Or Manufactured Home? I’ve already mentioned why I chose to stay in a hurricane shelter — even though, at the time, I lived in a concrete block home that was not located in an evacuation zone. But what if you live in a mobile home (manufactured home) or a wood frame home, and you’re not living in a storm surge evacuation zone? Those who live in manufactured homes are often ordered to evacuate during hurricanes anyway — because most of these structures are not designed to withstand hurricane-force winds. Even if you live in a manufactured home that is engineered to withstand strong hurricanes, many experts will still advise you to leave — because it might still be at risk of severe damage. For example, one study suggests 80% of wind damage to manufactured homes is caused by weaker attachments (such as awnings) ripping off the structure from strong gusts of wind. So wind damage might still be inflicted on your manufactured home — even if it is technically rated to withstand winds from a major hurricane. Must read: What Is The Likelihood Of A Hypercane? What About Wood Frame Homes & Hurricanes? What should you do if you live in a wood frame house and a hurricane is coming your way? Modern hurricane construction codes have left their positive impacts on wood frame homes, too. Today, more wood frame homes are hurricane resistant than ever before! Many will survive strong hurricane winds with relatively little damage. But what if you live in an older wood frame home? In a hurricane, should you stay or should you go? This one’s a tough call for some folks, but you have to consider whether or not your home has been retrofitted with improvements that are built in accordance with modern hurricane codes. 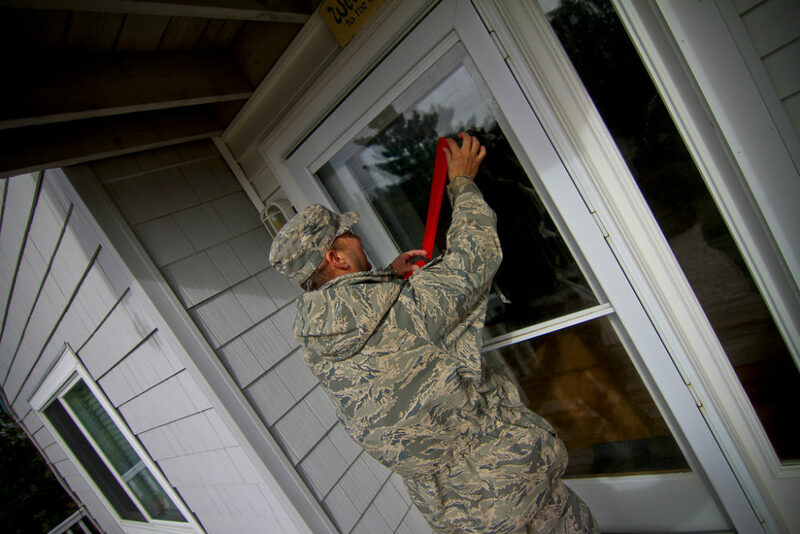 Make sure that you’ve taken steps to protect your home and property ahead of time to weather the storm — here are 10 things you should do. When evacuating, try to leave your home as early possible — driving a distance of just a few miles can take an hour or longer right before the storm hits due to traffic buildups and detours. 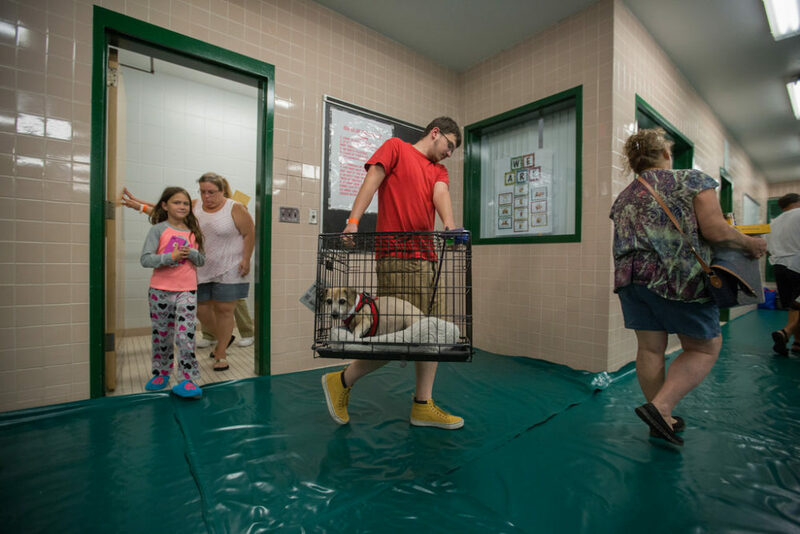 If you have pets, check well in advance to find local shelters that accept pets — and make sure you have a pet crate for each pet, plus to pet food, water, and pet medications. Make sure you’ve paid your bills and completed all necessary banking transactions — in case financial services are unavailable during and right after the storm. Bring plenty of necessities to last for several days — cash, food, water, sleeping bags, medications, important documents, games, etc. Here’s a list of what to bring. If you’re staying in a hurricane shelter or somewhere else away from home, plan for the possibility of being stuck there for several days — there may be road closures due to hurricane damage, your home may be uninhabitable, gas stations may not have any gas, traffic could be backed up for hours, etc. Here are some hurricane etiquette questions answered. Make sure to notify loved ones of your plans and establish a chain of communication among family members and friends. Here are some tips for communicating via phone during a hurricane. Read this before you go to an emergency shelter!